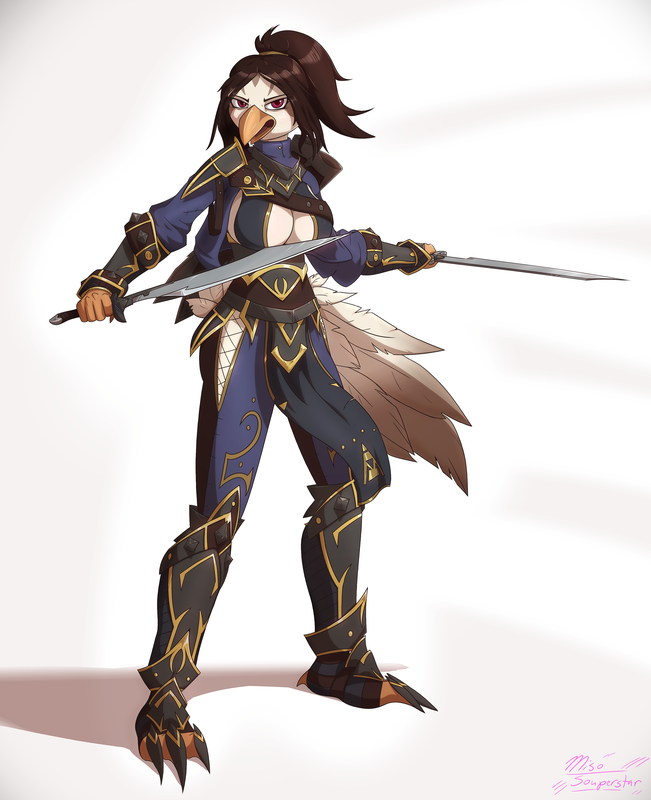 Yet another one of my birdies that will never wear convincing armor. This one took a while considering there was some complications with my computer, but I'm satisfied nonetheless. Does she have a ship? I can just imagine her looking out from the crow's nest, before sliding down and rope and duelling against (or with!) a band of cut-throat pirates.